Linh lost her bag (with money etc.. ) when the bodyguards drive her out of the showcase. The other fans waiting outside find out Linh was the one who pulled down their idol's pans in the showcase, they just attack her. JunSu helps her out from them, but also warn her for better not showing up in front of him, if so she will be regret. Linh still has no idea who he is because the outfit JunSu wore in performance was different, not to mention he had the mask on. After that, Khanh and Linh just realize their suitcase were switched. Linh goes to the police station asking the help for finding back her bag and the suitcase. Linh mom calls in reminding her not to forget for checking in dormitory before 3pm in the next day, her mom has placed deposit for accommodation. In the next day, Linh and Khanh give back the suitcase to each other. During seeking time for administration office, Linh bumps into JunSu without recognizing him. He just thinks this is right time to revenge. JunSu offers a help then leads her walking around the large college yard, making her late at the appointment before 3 pm. JunSu makes up himself with high spirit after a childish prank. Linh realizes she was pranked by that unknown weirdo, who also put her in difficult situation, there is no place in dormitory for her to check in due to her late. When Linh is in her most desperation situation, Mai shows up and helps her to arrange a temporary stay in JunSu house for few days. Now Linh realizes the one who warned her for not showing up and the one who caused trouble that made her unable to get in the dormitory are the same person, he also stays in this student housing. Linh asks JunSu why he did all such thing to her. JunSu doesn’t want to admit that the victim in that ashamed “pulling pants” moment was him. JunSu explains he so hates the crazy rabbit fangirl like her. He asks her to move out from his house, there is no room for her to stay temporary even for few days. Khanh comes back, whom Linh dislikes due to his cocky attitude when they first met. About Khanh: Khanh got a scholarship in Cinematographic studies, professor Yoon also offered him for being a teaching assistant in his class hours. Khanh has refused a scholarship in New York but comes to Korea. The truth is Khanh wants to find the Korean dad who had left him and her mom since he was 5 with no reason. His mom died years ago in lonely, he was raised by aunt. The family held a party in the rooftop, they introduce themself to each other. JunSu dad asks Linh to drink with him, she gets drunk. Some funny things happen, a drunk Linh goes into JunSu’s room then lays down in his bed. Next day, Linh realizes the treasure (EunHyuk’s T-shirt) is missing. She asks Khanh to give the T-shirt back cos he has opened her suitcase before. Linh believes the T-shirt is somewhere in Khanh’s room. In KM, JunSu is still struggling in training due to strict requirements. He is in bad mood and decides to quit. Speaking of JunSu family, they are such extremely nice people. They support Linh at best. JunSu younger sister JunHee gets to sleep in mom and dad room, letting Linh to stay with Mai in few days. (Normally JunHee and Mai stay together). Dad gets to sleep in JunSu’s room, in fact JunSu mostly stays in KM’s together with his fellows for training, he comes home once in month or time to time. JunSu can’t get sleep because of his dad snoring. He sneaks into Khanh’s room and climps up the bunk bed to get better sleep. Meanwhile, Linh remembers the sweet moment when EunHyuk was telling her to keep the T-shirt not to sell, Linh plans to sneak into Khanh’s room to take back the T-shirt while Khanh gets into the restroom. P/s: I know my English is not formal but I still hope you guys would get the main points that I tried to recap. Hopefully there are someones else stepping in and give better review for you guys. Linh again put herself into an embarrassing situation that annoys JunSu to no end. Mai and Khanh have to step in, asking for the source of all this stupidity between Linh and JunSu. They don’t agree with Linh, as a girl she can’t sneak into man’s room in the midnight no matter whatever reason is. After knowing about the T-shirt of "EunHyuk oppa" was the reason, JunSu is really mad cos he hates this kind of crazy fans the most. During the argument between, JunSu keeps asking her moving out. Also he has inadvertently revealed to Mai he was the one who caused trouble to Linh in school the day before. After overhearing, JunHee comes up with a plan. She asks JunSu to switch his room with her then let Linh stay with Mai, JunSu is going to stay with Khanh, if he refuses her suggest she will tell their Dad about the trouble that JunSu caused to Linh, making her not be able to register to the dormitory in time. JunSu and JunHee have an agreement within one day and half the problem will be solved. There is no way JunSu has to accept the fact that Linh will stay in his house, he can't wait to kick her out at the soonest, so in the early morning he takes her going out to find a homestay. They go here and there to look for some homestays, but Linh always finds a reason to refuse any offer. Poor JunSu does not know, Linh has no intention of moving out yet until she finds back the T-shirt of "EunHuyk oppa". Sung Jae, Miso, JunSu and Linh all have enrolled on a course under the lecturing by professor Yoon… Despite his bothersome to Linh’s attendance, JunSu still has to deal with it. Khanh begins to search all the information based in few data from his aunt, with the hoping to find out his Dad traces. Sung Jae and Miso take Linh to their trio’s privately club. Sung Jae introduces to Linh all the activities they have in this club, also the clip that Miso has recorded during JunSu performance in KM showcase that day. Linh starts to wonder who the dancer was, then suddenly JunSu shows up and closes the laptop. In the same time, Mai is assigned to teach Vietnamese in a high school's class, there are few undisciplined students in this class which Ji Young is one of them. Ji Young is orphaned, he is very smart but also a wild child, often quit the class. P/s: From the 5th episode, the drama is getting interesting…. In the library, Linh is almost being squashed by a bookshelf, someone rushes off right after that. In expectation that Linh would get out before the deadline with JunHee, JunSu keeps searching room for Linh, he even asks SungJae for help. Beside that, Linh pretends in front of JunSu’s family that her leg was hurt, for so she can avoid the stress that JunSu pushes on her. But JunSu is not easy to be fooled, he requires her not to be late at the appointments that he has set up in the next early morning. Khanh visits Hung, a Vietnamese unskilled laborer who has a motorcycle repair garage in Seoul, they both are friends from the childhood. Meanwhile, Mai tries to make Ji Young focus into the class and expresses her concern about his future such like college etc. However, right now that is not the thing Ji Young needs. Miso becomes Linh’s supporting tutor in some courses. In the conversation talking about the KM clip that Sung Jae has showed to Linh before, Miso just realizes Linh was not only the girl who pulled down JunSu pants but also bought the VVIP ticket from her. She feels completely uncomfortable. Linh helps Khanh to send a Korean postcard to his grandma in Vietnam. Khanh starts to have a pleasant feeling towards Linh ‘s appearance along beside him. P/s: I really like the way he calls her: Crazy fan! This nickname has a lot of thing to do in their relationship later on. @TTFYoung : I also call myself "crazy fan" right after that episode . I'm now very confusing on one problem : I don't know which channel will broadcast Forever Young to SouthEast Asia audience ? Channel M is the orther name of Mnet channel, isn't it??? Can anybody tell me 'bout this? The 36-episode TV series Tuoi Thanh Xuan (Forever Young) will be broadcast on the Story On television channel with Korean subtitles from June 23rd. In addition, the film with English subtitle will be broadcast on Channel M – the payment television network covering on East Asian countries and territories such as Singapore, Thailand, Malaysia, Indonesia, Cambodia, Myanmar, Hong Kong and Taiwan. The film is a cooperation project between Vietnam and the RoK. It tells stories about the lives, dreams, and choices of young people struggling with the mixed and oftentimes conflicting emotions of friendship and love in Seoul. Vietnamese and Korean playwrights’ are free to show off their skills to introduce both the culture and beauty of the two countries to theirfilm lovers. The film crew chose autumn to make the series, the most beautiful season in the RoK. They filmed at various RoK’s scenic spots including Namsan Tower , Sky Park , Nami Island and Namhan Sansung, as well as at Vietnam’s famous destinations including Sword Lake , Long Bien Bridge and the Old Quarter. The film includes performances by a vast array of well-known Korean and Vietnamese film stars including Kang Tae Oh, Shin Hae Sun, Shin Jae Ha, Roh Haeng Ha, Hong Dang, Viet Anh, Nha Phuong, and Kim Tien./. well, seems like really some nice pix from TTX Forever Young are showed in this article. Interesting. Awkward. Trendy. The cross-country acting gigs among Asian countries are becoming popular these days. And I can never wrap my head around the whole situation with them not speaking the same language and relying on translators. What about the chemistry and the connection? I could imagine them skipping lines and speaking about different things in the same scene. Lol. Good thing these chosen cast members are experienced in that area. Latest on the list which has been steadily filming since August is idol drama, Forever Young, co-produced by Vietnam Television (VTV) Film Center and CJ E&M Pictures. Officials stills and a trailer are dropped below the cut. By now, whenever I see a group of young cast members, the premise basically says the same thing. About dreams, obstacles, and love. Our female lead is a Vietnamese student studying abroad in her favorite country, South Korea. A more accurate description would be a Kpop Fangirl. heh. Of course, she meets another Vietnamese student and a Korean student/idol. Darn this girl, where do I sign up? Her wardrobe is arranged by Korean stylists. With lead actress Nha Phuong. Girl is living the dream of every fangirl. hee! The other male , is Vietnamese actor, Hong Dang. This is not his first time involving in a cross-country acting project. Last year, he was in a film produced by Vietnam and Japan called The Partner with Noriyuki Higashiyama and Takei Emi. Here he is taking pictures of our leading girl. Main leads together. Oh, the gorgeousness of the background…..
- It is said that 3 young directors (Two Vietnamese and 1 Korean) are working together to bring forth beautiful scenery from both countries. Coupled that with the divided responsibility in writing the scripts and it looks solid in terms of fairness. They promise a detailed and honest look into the Idol Industry and the chaotic minds of some extreme fans. - The drama plans to be 36 whopping episodes (UHHHHHHHH) and will premiere on VTV3 December 17th. It will also be broadcasted in Korea and a number of other countries as well. I am so grateful that they're releasing the drama in Korea!. Although, i do watch some Asian dramas it's either DRAMAFEVER or VIKI with subtitles other than live shows, i don't mind if FOREVERY YOUNG not subbed, @ least i can still can catch the story behind every episodes!..Love Kang Tae Oh oppa thou! Thanks for being here - I'm so impressed with your comment over Youtube on FY. 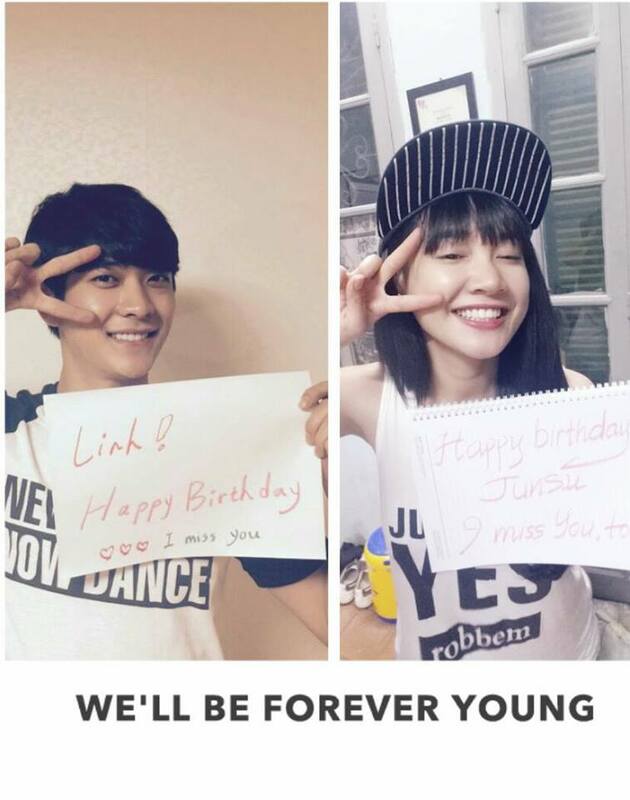 IF you are also a Linh/Su shipper, so I guess you will be more than happy if you are going to meet them again in FY season 2... Dear, we will meet them again in 2016. We are going to try our best to get the Engsub version uploaded online after 6 July...The dialogues between the characters are so cute and funny in the first part, but also so touched in the 2nd part , then I hope you could re-watch the drama again with subtitle for some loving more. The first episode of “Show Me the Money 4” on June 26 included a contestant by the name of Kim Min Jae who says he gets told of his resemblance to Yeo Jin Goo and Song Joong Ki. While he has a handsome appearance, he also shows off his powerful rap skills. San E is impressed and says, “You’re really good at hip hop.” With San E’s approval, Kim Min Jae will be moving on to the next round. A drama had got the highest rating in vietnam during broastcasting time; a story about romantic love, friendship, family affection, lives, dreams, ambitions,... could touch your hearts. coming soon on channel M (english sub) from July 6! I've just realized that there's a thread of FY soompi some moments ago. When it was being aired in VN, I must say I was a huge fan of it. Although the storyline is a little childish and the ending doesn't meet my expectation, FY is definitely a worth-watching drama for this summer. It's such a fresh, light-hearted and fun drama. I've heard that they're planning to do the FY season 2. If it's true, then please cast Nha Phuong and Tae Oh for the main leads. I don't want to watch a FY season without them. Gosh, they match each other so, so well. I was waching film "Forever Young" and liked the film. The film tells the love of Junsu and Linh, Viêt Nam girl very beautiful and dutiful to parents. Whether through 5 year of separation but Junsu's love for Linh unchanged. They met again in Viet Nam. Have they resumed love? The film "Forever Young", you see on the Story on channel and Channel M.
@emilly2608 : thank you soooo muchhhh, glad you're joining us. I still don't think that I could do those fan-things at my age. But it's a few fan out there who would willing to do this. I can not let our beloved drama just slipping away with no sign like that. All the characters had played their part so beautifully, they're deserved more than that. 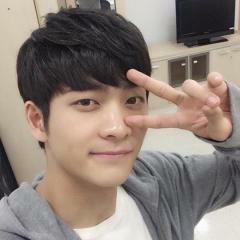 Especially Kang Tae Oh, it's been forever since I've been idol-ing someone that much!!! Em, from what you've told. I believe you're another Sulinh shipper, right ? They're my best onscreen - hopefully - couple IRL so far... So how do you think 'bout that stuff? Thank you so much for letting yourself involved in this "little project" - Love having all you guys here! Please keeps promote FY until we get Engsub uploaded for international fans. Kang Tae Oh (Junsu) born in 1994, you took Nha Phuong (Linh) and sister Ha Roh Haebg(Junhee) 4 year old is the secret of the film. Nha Phuong(Linh) born in 1990 is promising young actors of cinema VietNam. Prior to the main character and made her mark in televesion series Forever Young, The heart blood, she has participated in many TV series: The good docter,Family red numbers. 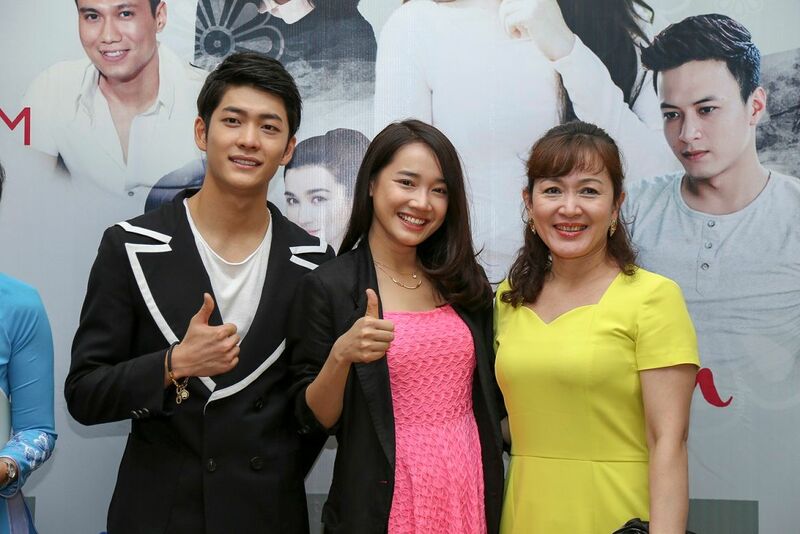 Kang Tae Oh (Junsu) plays the male lead in film, Kang Tae Oh get sentimentality of televesion viewers. Pew people know the name Kang Tae Oh just a pseudonym. His real name is Kim Yoon Hwan, he hed e healthy body and a bright smill. 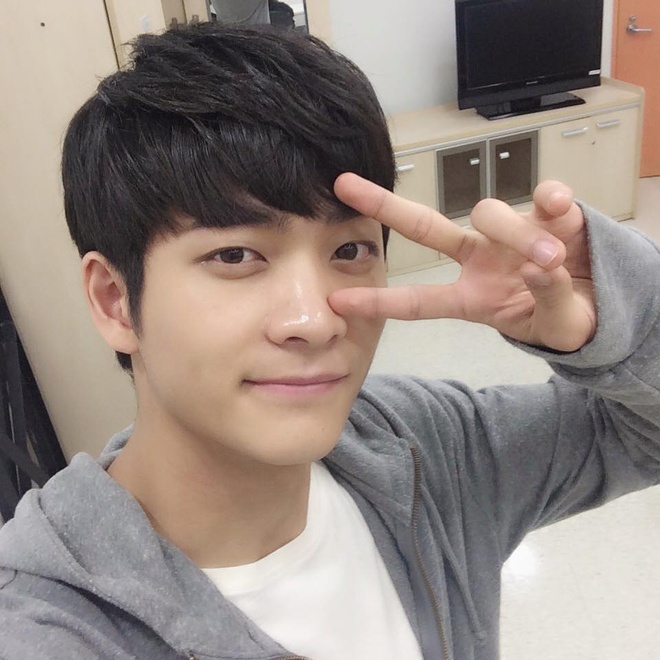 Kang Tae Oh very being of women fans love. This drama looks interesting. Although it was a korean acting to be vietnamese, i loved the drama "Golden Bride". Looking forward to 6th july and onwards. lets watch this film on Channel M 6th july . I am sure I will not regret.